Victor Reinz® direct insulation heat shields are constructed with an aluminum or stainless-steel outer shell and insulated with a high-temperature fiber mat through a fully automated forming processes. 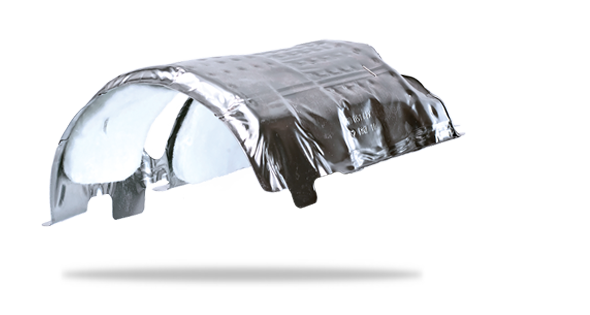 Popular on many diesel vehicles, our direct insulation heat shields can fully envelop exhaust components as needed. Further, decoupling the shield from the underlying component improves noise, vibration, and harshness (NVH).